Most tourists have only visited the elegant and well-preserved heritage houses of San Fernando. But as seen from the list below, there are a lot more gasping for attention and possible conservation and adaptive reuse. Maybe you or your organization could adopt one of them. 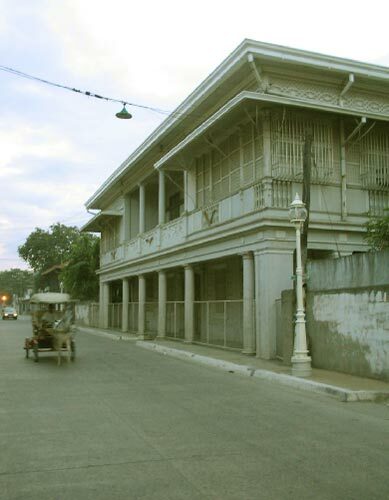 Here are photos of some of heritage structures in San Fernando. Many of them like the Train Station and PASUDECO, are in need of revitalization for them to be tourist worthy. Heritage conservation is a norm in other countries here in Southeast Asia. Check out the website below. First on the list is an ordinary looking warehouse which served as the offices of the Sarawak Steamship Company. This "useless" old structure was converted and is now making money since it houses a restaurant, fastfood chain and convenience store. How we wished Filipinos also thought the same way! If they are proud of that in Kuching, imagine what could be done with PASUDECO? In the adjacent lot alone, it has a number of wooden structures (former staff houses) which could be converted.